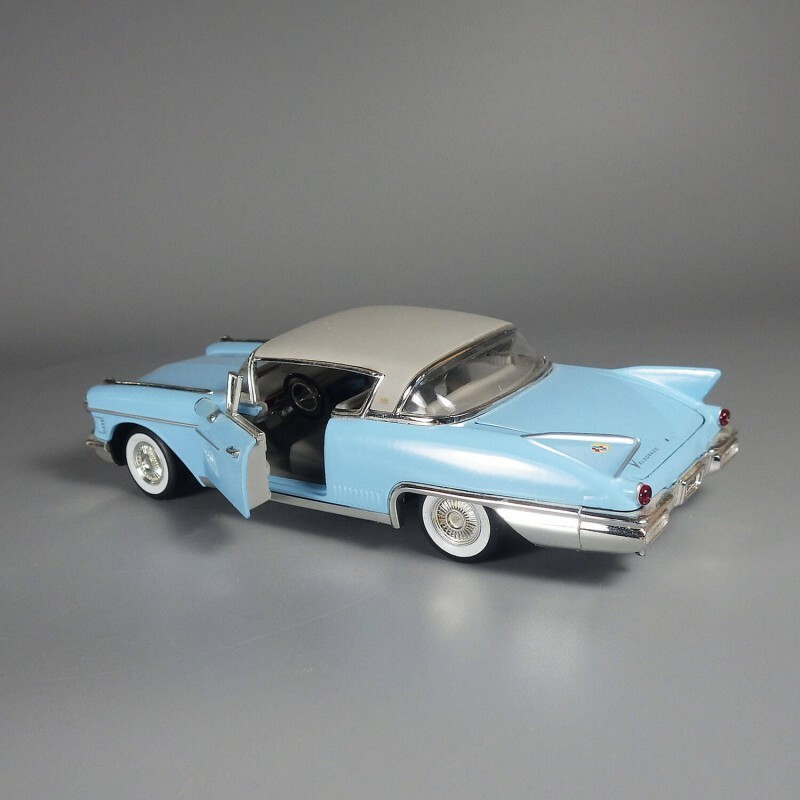 Vintage 1958 Cadillac Eldorado Series 62 Seville Coupe diecast model car, with a scale of 1:32 from the National Motor Museum Mint. 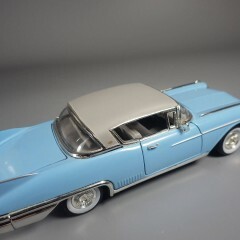 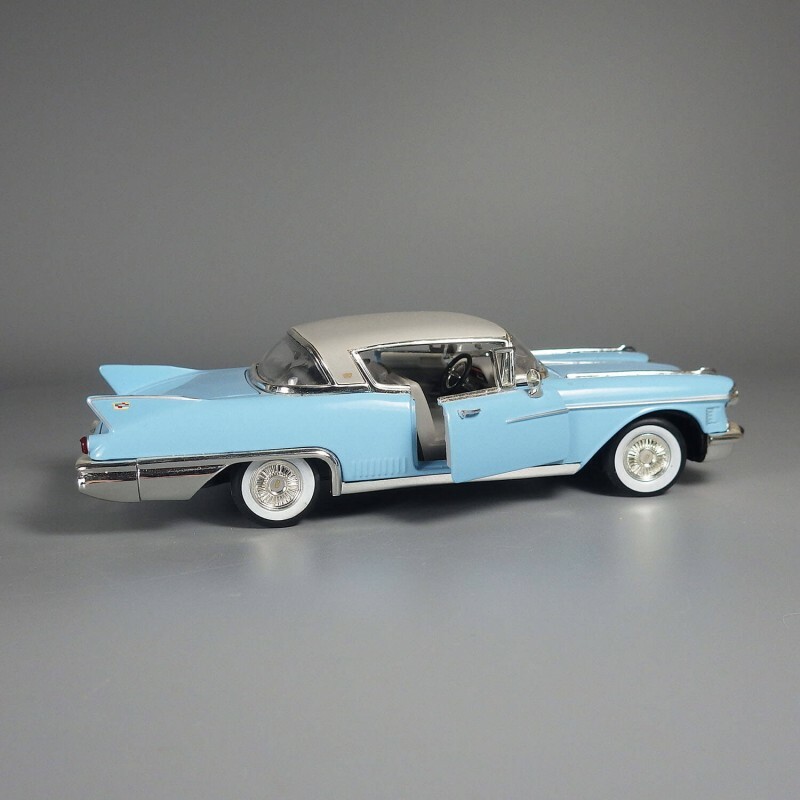 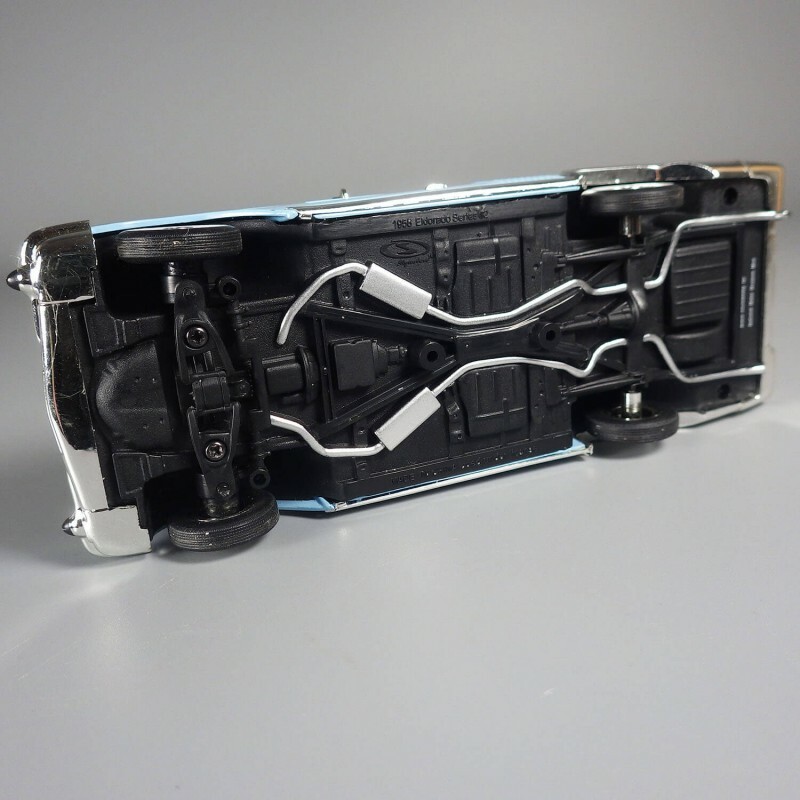 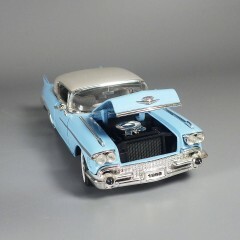 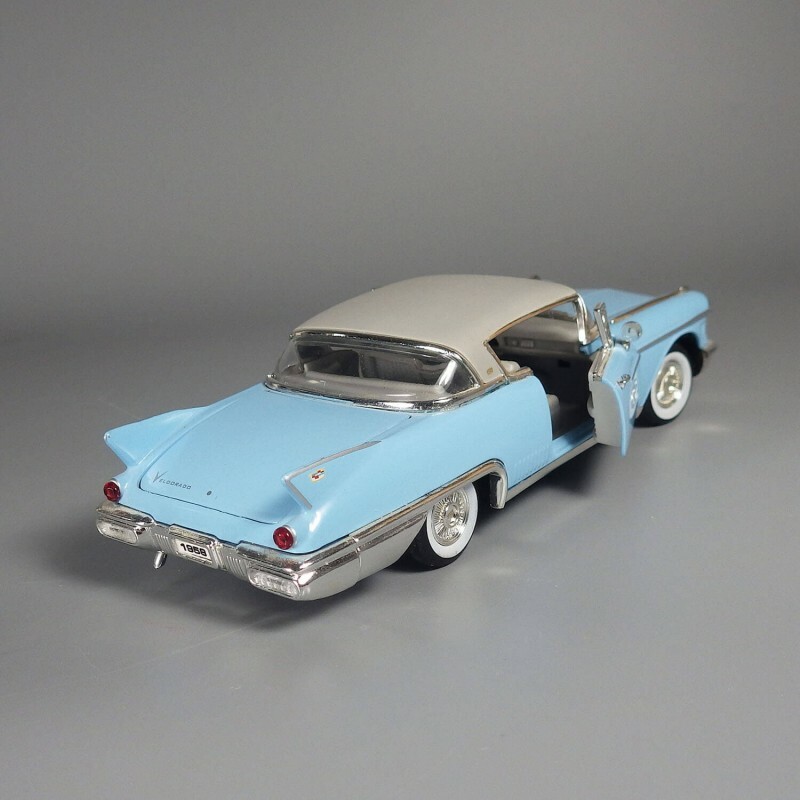 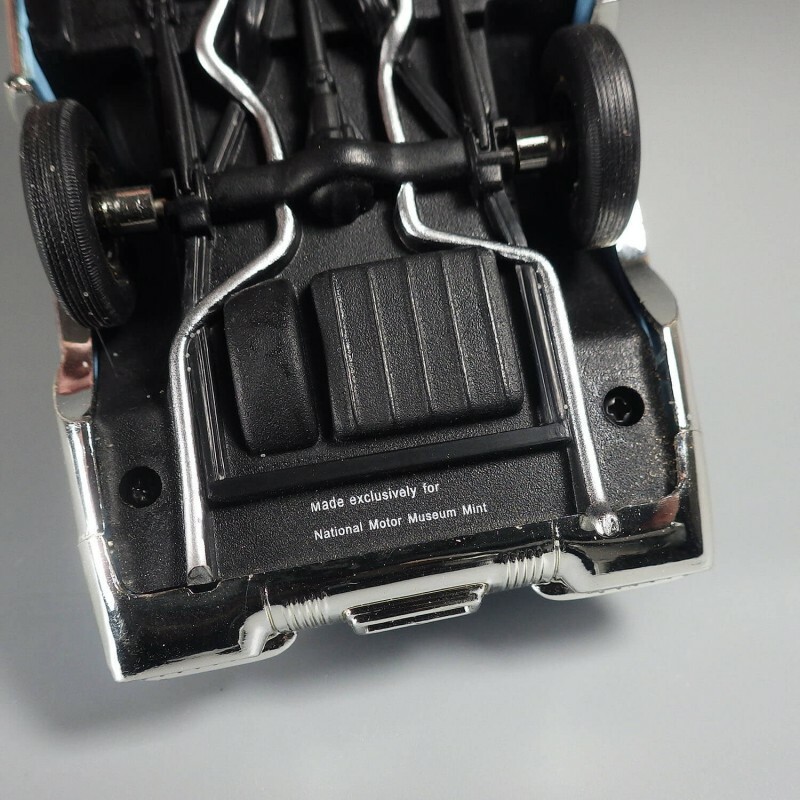 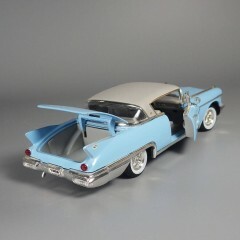 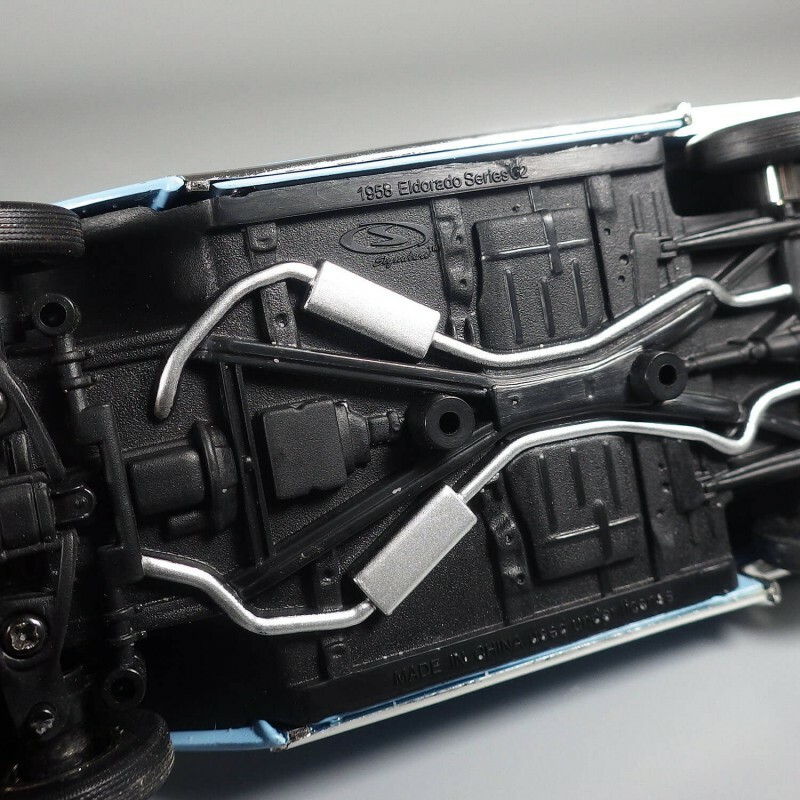 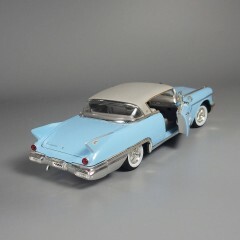 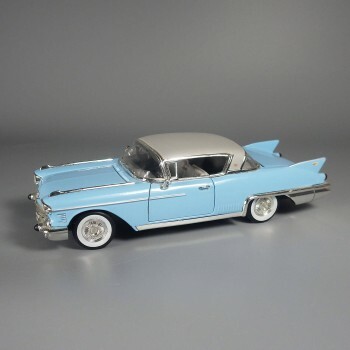 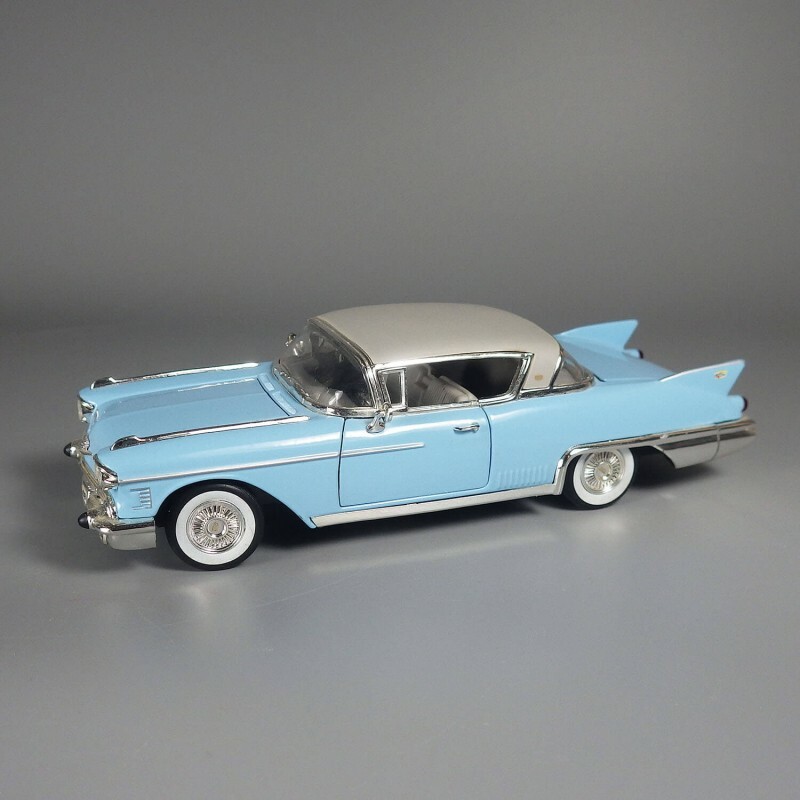 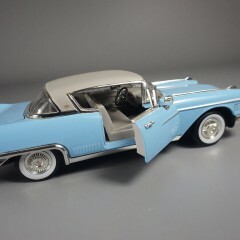 With upswept tailfins, a Robin's egg blue baked enamel exterior topped by a gray hard top, this model car has opening doors, trunk, and hood; rubber tires. 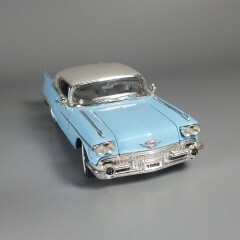 In excellent condition, measuring 6-1/2 inch long.